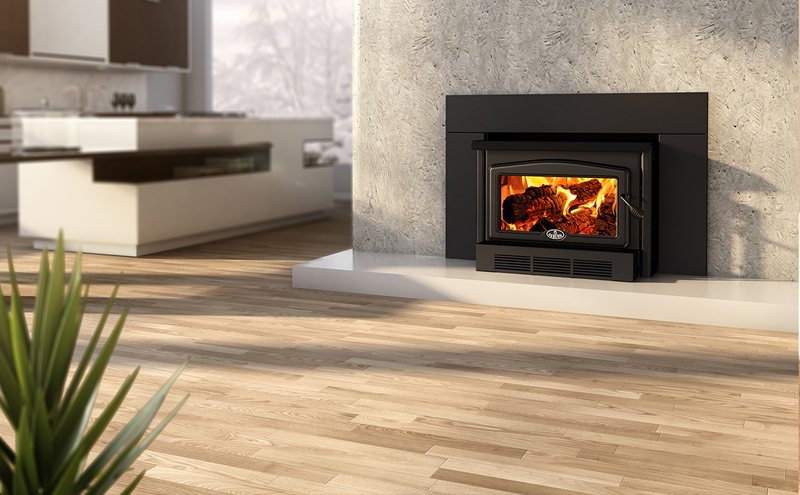 Its 100,000 BTU/hr, combined with a 3.4 cubic foot firebox, will help you to rest easy during those long winter nights, and its large glass window offers a perfect view of the fire. 98% of the last 50 homeowners who have registered their warranty are satisfied with this product. Fireplace opening – minimum (Height) 23 1/2"
Fireplace opening – minimum (Width) 31 5/8"
Fireplace opening – minimum (Depth) 16 1/4"
Clearance – top (measured from the platform on which the appliance is installed)** N.A. N.A. Clearance – minimum floor protection in front of the appliance 18" 16"